One PURE Pond Bomb is effective on ponds up to 5,200 gallons. Simply drop the PURE Pond Bomb into your pond filter or directly into the water as and when necessary. The bacteria and enzymes will react to the biological issues with in your pond. You cannot overdose with the PURE Pond Bomb. API Pond Ecofix Sludge Destroyer reduces pond maintenance by breaking down fish waste and dead algae, as well as working to increase the concentration of dissolved oxygen in pond water by eliminating sludge build-up. The result is cleaner, clearer pond water and a healthier ecosystem for pond fish. pH is the measure of acidity or alkalinity of water. A pH reading of 7.0 is neutral, a pH higher than 7.0 is alkaline, and a pH lower than 7.0 is acidic. The pH level of a pond can be different from day to day. Pond water should be tested for pH levels regularly. When tests show a change in pH, use pH Up or pH Down to slowly adjust the pH to a desired level. To Lower the pH Add 1 teaspoons per 50 gallons of pond water. Carefully mix desired dose with 2 gallons of pond water in a plastic bucket and distribute evenly around the perimeter of the pond. To Raise the pH Add 2 teaspoons per 50 gallons of pond water. For best results, add to water flow. pH should not be raised or lowered more than .5 units every 24 hours. Do not treat the pond more than once in a 24 hour period. Aqua Meds ARMOR is an excellent product to use if the slime coat of your fish has been damaged caused by abrasions from rocks, netting, injecting or breeding activity. Helps protect the slime coat by forming a synthetic slime coat until the fish is able to rebuild its own. Fast acting protective coating with vitamin E promotes the healing of damaged scales, skin, fins and reduces stress. Add two tablespoons (1 oz / 30 ml) for every 60 U.S. gallons (227 L) of pond water. De-Tox Plus is the "Big Gun" when it comes to water conditioners. In this day and age when many city water departments are receiving permission from the Federal Agencies to increase the chemical dosages to keep our tap water safe, we must be prepared to combat these chemical treatments for our ponds with a high powered water conditioner. De-Tox Plus is the best choice for areas that have high doses of chloramines in their city water. We recommend De-Tox Plus for every water change. Instantly detoxifies and removes ammonia, chlorine and destroys chloramines. Use 1 tsp. for every 10 gallons of water to be treated. Use 1 cup for every 480 gallons of water to be treated. Repeat dosage as needed. Keep pond well aerated during treatment. Gives you all the benefits of Arctic and Summer Blend, in one specially formulated dry concentrate. 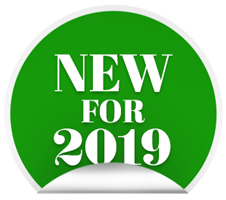 Dual Blend will improve the efficiency of your filter, regardless of its size, by adding in reducing the heavy Bio-load during the summer months. Plus, it will give your filter the extra boost it needs to keep your pond water non-toxic during those hot summer spikes of ammonia and nitrite, by removing excess ammonia and aiding in reducing fish waste. 4 grams every 1000 Gal, every day for 4 days. 4 grams every 1000 Gal, every other week. Dilute Dual Blend in a bucket of pond water and add to pond. Cold winters make it difficult to mix in pond water, chlorine free "tap water" can be used. For chlorine-treated tap water, use bottled water. The convenient pump bottle makes for quick, easy and accurate dosing. One pump treats 100 gallons of water. During spring start-up or for new ponds, treat weekly for two weeks. Add to the area in the pond with the most circulation. We recommend heavily aerating the pond for at least 24 hours after application. Length (in feet) x Width (in feet) x Average Depth (in feet) x 7.48. This is scientifically blended to quickly clear cloudy or discolored pond water fast. Rapid Clear goes to work clumping suspended debris, also referred to as flocculation. Most ponds will be crystal clear within 24 hrs. Rapid Clear is a great way to increase the efficiency of existing mechanical filtration. The convenient pump bottle makes for quick, easy and accurate dosing. Add to the area of the pond with the most circulation. Wait 48 hours before re-application. Helps keep pond water clean, clear and cool using a completely non-toxic dye with added humic and tanic acids derived from natural organic compounds found in nature. Also helps reduce fish stress in spring when fish have no place to hide from the sun and predators. Tints pond water an attractive tea color. Contains humic acid and enzymes. Added enzymes help balance the pond ecosystem. One dosage lasts up to 6 weeks. 1 cup treats approximately 6,000 gal. Safe for fish, plants or animals that may drink pond water. Add to the area of the pond with the most circulation. Use a full dose after performing a cleaning or large water change of more than 50%. Use a half dose when adding water to the pond or if adding, transporting, or netting fish. One tablet treats up to 100 gallons of water. Water Feature Maintenance will eliminate scale that will often build up in areas of the water feature that contain moving water, while also preventing the build up of debris on the surface of the fountain. This product does not contain acids that may damage the fountain surface. Add to the area of the fountain with the most circulation. New and improved Activated Pond Carbon Now made with bamboo carbon, a sustainable natural resource with exceptional discoloration removal capacity. Treats up to 800 gallons for up to 8 weeks. 1 scoop treats up to 25 gallons, 1 container contains 32 scoops. Targeted Treatment for Container Water Gardens Aquascape Container Water Garden Maintenance Tabs contain 8 pure strains of concentrated beneficial bacteria, including enzymes that will allow you to maintain a strong biological balance providing clean, clear and healthy water conditions. These natural cleaners help to maintain a strong biological balance in your water garden that could be otherwise disrupted by factors like fish load, uneaten fish food, and organics such as leaves, sludge and unwanted debris. 1 tablet treats up to 100 gal. 1 container treats up to 3,600 gal. 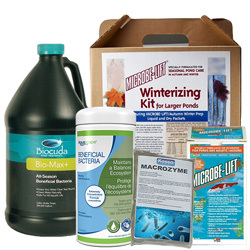 Aquascape Pond & Debris Clarifier is scientifically blended to quickly restore the water quality. Quickly clears unsightly debris and reduces pond maintenance. Aquascape Clean for Ponds makes it easy to quickly optimize the quality and clarity of pond water while drastically reducing filter maintenance, keeping ponds clean, clear, and beautiful. Clean for Ponds uses a powerful blend of heterotrophic bacteria to naturally digest organic waste or sludge caused by uneaten fish food, fish waste, and decomposing leaves and debris. The high concentration of bacteria will work to clean between rocks and gravel while keeping pond filters clean, including filter mats and biological filter media. Aquascape Clear for Ponds contains a concentrated formulation of ingredients designed to eliminate unsightly water conditions, solving even the most stubborn water quality problems. The specialized formulation contains a blend of clarifiers designed to clear cloudy or discolored water and reduce debris that attaches to rocks and gravel. Clear for Ponds also contains a powerful phosphate binder to lock up excess nutrients that may otherwise cause water quality problems. The easy-to-use pump top accurately measures 100 gallons of treatment per pump and the 8 ounce bottle treats 5,000 gallons total. Clear for Ponds is safe for fish, plants, pets, and wildlife. Aquascape Protect for Ponds uses an all-natural formulation of tea tree oil and other plant-based biopolymers to effectively protect pond fish. The special formulation effectively reduces fish stress, prevents parasites and bacterial infections, and accelerates the healing of superficial wounds, scrapes, cuts, and breeding abrasions. Protect for Ponds is great for use after handling fish, performing pond clean outs, or conducting water changes. The treatment will not discolor pond water and is safe for use with biological filters. The easy-to-use pump top accurately measures 100 gallons of treatment per pump and the 8 ounce bottle treats 5,000 gallons total. Protect for Ponds is safe for fish, plants, pets, and wildlife. Aquascape Clean for Fountains effectively cleans and clarifies fountains and fountain water to keep water features clean and clear while significantly reducing maintenance and issues with water quality. This special formulation is ideal for water features with standing water, including container water gardens and other features containing fish or plants. This easy-to-use water treatment contains a fast-acting flocculent and phosphate binder to help clump and clear suspended debris. Clean for Fountains also safely prevents and eliminates foam. Clean for Fountains is safe for fish, plants, pets, and wildlife. A quick and easy problem solver water treatment. Each gummy sits in a liquid solution, containing a special blend of treatment designed to help clear up unsightly and maximize metabolic activity. Contains 320 billion viable bacteria cultures, selected specifically for their ability to quickly resolve a variety of pond problems. Depending on conditions, the gummy can take several days to dissolve, depending on water flow and temperature. Due to a large bloom of beneficial bacteria, it's possible to experience opaque water conditions within the first few days. Application Rate: Apply 1 oz per 375 gallons once a week. If problems persist apply BioMax+ twice a week at the prescribed rate until desired results are achieved. For Best Results: Apply BioMax+ to the area of greatest circulation. Use supplemental aeration to enhance biological activity. Optimal Water Conditions: pH: 6.5-8.5, Temperature: 50F or above. Application Rate: Apply 1 scoop (1 oz) per 1,000 gallons once a week. If problems persist apply BioMax twice a week at the prescribed rate until desired results are achieved. For Best Results: Apply BioMax to the area of greatest circulation. Use supplemental aeration to enhance biological activity. Optimal Water Conditions: pH: 6.5-8.5, Temperature: 50F or above. Application Rate: Apply 1 oz per 600 gallons once per week. Do not exceed recommended dosage. For Best Results: Remove excess debris prior to treatment. Recommended that Atlantic BioMax and ReClaim treatments be used 48 hours after EcoSolv treatment. The use of fish safe dye is a common part of an overall pond maintenance program. Dyes may be poured directly into the pond/ lake (preferably in several locations). Upon complete dispersal these dyes are non staining and are fish, pet and wildlife safe. Handle with care prior to dilution to prevent staining. PURE POND are biodegradable balls, crammed full of live bacteria and enzymes that when added to your pond filter get to work breaking down Ammonia and Nitrite, whilst cleaning up organic waste. The bacteria and enzymes are slowly released when they are needed most to address biological issues in the pond that are often the cause of poor clarity. Laguna Clear Fast contains a special fast-acting formula that quickly clears cloudy or discoloured pond water and eliminates pea-soup-like water conditions. It also helps clump debris, making it easier for removal by mechanical filtration. Clear Fast is safe for fish and plants. Use 50 mL per 265 U.S. gal. of pond water when water is clouded. Use the doser cap provided for an accurate measurement. Note: The recommended dosage yields the best results. Overdosing will not improve the effectiveness. However, if the cloud remains after a 24 hour period, then a second dose may be required. For pond water treatment only. Warning: During hot weather or warm water temperatures, strong aeration is recommended to avoid fish stress due to oxygen depletion that may result in fish loss. With proper filtration and aeration Clear Fast is safe and effective. Laguna Bio Sludge Control is specifically formulated to break down organic solids and pond sludge. The water treatment activates immediately when added to the pond water. A completely organic sludge remover, Bio Sludge Control is safe for fish and plants and will help improve overall pond water conditions. Laguna Phosphate Control naturally improves pond water clarity and overall pond conditions. Phosphate is a major nutrient that can stimulate undesirable pond conditions that result in unclear water. Micro-organisms in Phosphate Control's super-concentrated formula reduce phosphate levels. In addition, Phosphate Control contains a powerful combination of natural bacteria that improves overall water conditions for pond inhabitants. Laguna Liquid Peat naturally filters out sunlight in pond water, creating optimum water conditions. It includes a natural peat extract which contains a gentle, natural-occurring anti-fungicide that helps prevent fungal infections on fish while lowering pH in alkaline ponds. When administered at the recommended dosage, Liquid Peat produces a pleasant amber tint that serves as a perfect contrast to the rich colors of goldfish and koi and gives them a feeling of protection. The tint naturally filters sunlight in pond water and provides fish with needed shade. A natural product, Liquid Peat is safe and beneficial for fish and plants. Use 50 mL per 400 U.S. gal. of pond water. Use the dosage cap provided for an accurate measurement. It is recommended to dilute the dose in 3.78 L (1 U.S. gal / 0.83 Imp. gal.) of pond water. Evenly distribute the diluted product around the inside perimeter of the pond. For treatment of ornamental garden ponds only. Fill pond with water and then add Water Prep directly to pond. This method is not recommended when fish are already in the pond. To ensure maximum protection for fish already in a pond, dose the pond before any new water is added. New, dry bacteria used to improve water quality and clarity while buffering the pH. TAC also contains sea salt to help control pathogens and to induce a protective slime coating on fish. Treats extra large ponds and water features. NEW - Formula Treats 4 X More Water! Application: Test your pond water at the same time each day (dawn = lowest pH; dusk = highest pH) for a pH reading. If the pH is above 8.0, use Microbe-Lift pH Decrease. If your pond contains fish and/or plants, do not dramatically change the pH (more than .5 of a pH unit) in 24 hours, as this may shock the aquatic life and plants. Apply Microbe-Lift pH Decrease Plus in several steps and measure decreased pH before next addition. Repeat if/as necessary. Application: Test your pond water at the same time each day (dawn = lowest pH; dusk = highest pH) for a pH reading. If the pH is lower than 6.5, use Microbe-Lift pH Increase Plus. If your pond contains fish and/or plants, do not dramatically change the pH (more than .5 of a pH unit) in 24 hours, as this may shock the aquatic life and plants. Apply Microbe-Lift pH Increase Plus in several steps and measure increased pH before next addition. Repeat if/as necessary. When pond carbonate levels fall below the necessary level, nitrification will stop and will fail to start again. With the loss of KH (carbonate alkalinity) pH levels will vary and pH will be difficult to control as KH stabilizes pond pH.